2008 was an extremely tough but pivotal year for me. Year 10 of high school was filled with peer pressure, hormones, severe acne, bloating, periods, cellulite, stretch marks, hair loss, boys and not truly knowing who I was as a person. 2010 was when things began to get serious! I was determined to feel confident in my own body, cure my hormonal acne and treat my irregular, heavy periods. Every afternoon and night was spent balancing my HSC studies and studying my own body and nutrition game plan. Visiting multiple naturopaths, herbalists, Chinese medicine practitioners, blood type specialists and acupuncturist, I began to feel hopeless. Would I ever achieve my goal and dream of having clear skin and feeling confident in my body? 2017- Now My skin was the BEST it had ever been. Not only had I cured my hormonal acne but people would actually comment on my skin and how radiant, glowing and healthy it looked. I honestly could not believe it. I felt extremely confident in my body and had energy levels that I had never experienced before. I wasn't hungry, counting calories, restricting myself or living off strict rules. I had thousands of questions flooding my inbox asking HOW I cured my acne, HOW I was so lean and HOW I had so much energy. I still cannot believe the broad answer is so simple, achievable and... maintainable. 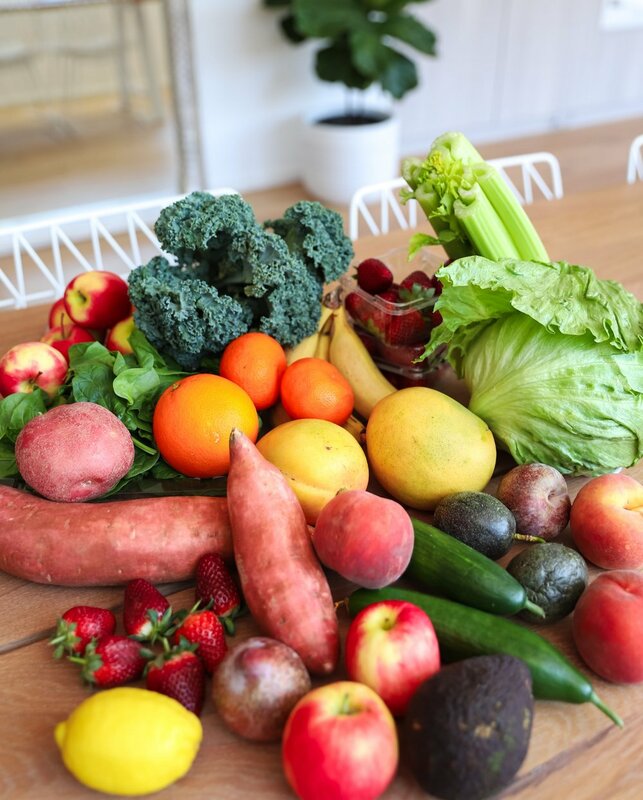 Here are my top 8 tips that help me enjoy, maintain and LOVE my healthy diet! Eat seasonal fruit and veggies! I'm talking summer time apricots, peaches, berries, tomatoes and cucumbers. Winter avocados, broccoli, lemon and ginger. Autumn, passionfruit, spinach and pears. Spring, watermelon, watercress and coriander. I could write a whole book about the importance of eating seasonally as the benefits are endless! Not only are the fruits and veggies grown and harvested in their peak season, extremely nutrient dense and fresh, it's a great way to ensure you're getting a range of micronutrients and colour into your diet annually. Decide what YOU like for YOURSELF! Ok prepare to possibly gag or think I'm disgusting butttt... I found out two years ago I actually love... SARDINES... IN A CAN!! I know, wtf. I was doing loads of research around omega 3's and balancing my hormones and I kept coming across sardines. Next thing I knew, I was adding them to my lunch time salads and seriously enjoying it! Think outside the box and don't be afraid to try new things... even sardines. Please still love me sis. Make a healthy version of your fave 'not so healthy' meal! I LOVE chicken nuggets, pizza, nachos and creamy carbonara pasta. A solid eight years into my super healthy and colourful diet, and I can confirm that I have successfully mastered the healthy version to all of these meals! Whether you're winging it in the kitchen like me, or following a recipe on google, just remember... you can make a healthy version of EVERYTHING! Get your friends and family on the band wagon! Now unfortunately this often means sharing your delicious, healthy creations, or your expensive box of organic, activated granola with the fam, but hear me out sis... it'll be worth it in the end! Having people surrounding you who not only support your healthy eating, but take part in it with you is literally the dream! Surround yourself with people who support you and bring out the best version of you! Be prepared and organised! Now I don't mean #mealprep #bodybuilding #6mealsaday I just mean stock your cupboard and fridge full of healthy ingredients and snacks! I know if I'm ever craving candy or sweets and I open the cuboard to see my healthy deluxe mix, protein balls or dried fruit combo, I'll immediately crave that... instead of skittles. Fill up on fruit, vegetables, nuts and other whole food snacks so you simply won't even have room for the not so healthy options! Research, learn, discover and explore. Theres nothing more motivating to me than an afternoon spent reading health and nutrition research articles and case studies #imahealthnerd #andiloveit. After learning more about the impact food has on our bodies, I seem to have a renewed sense of determination, motivation and love for whole foods. Never stop learning, exploring and re-motivating yourself!